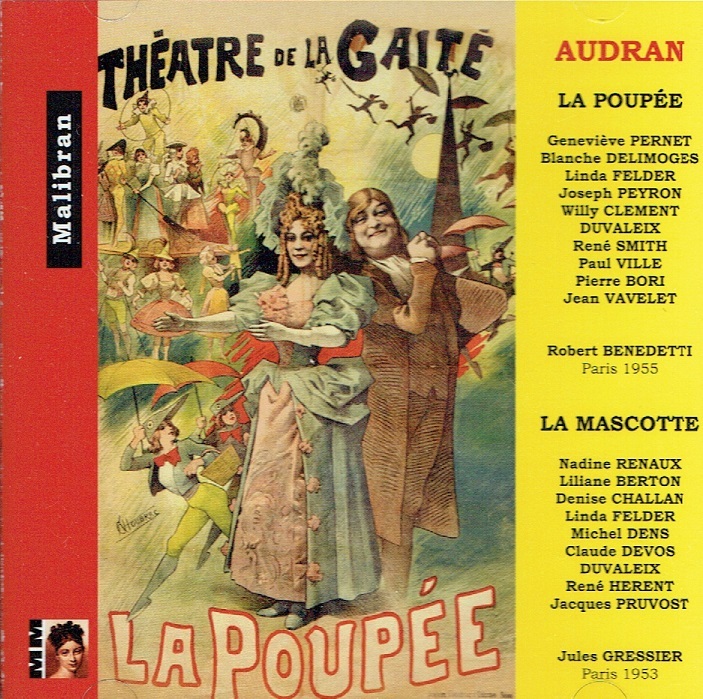 "LA POUPEE (The Doll) is an opéra comique in a prelude and three acts composed by Edmond Audran with a libretto by Maurice Ordonneau. It opened at the Theatre de la Gaité, Montparnasse, Paris on 21 October 1896. 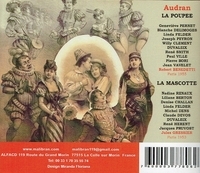 Along with MISS HELYETT (1890) LA POUPEE was one of Audran's late successes. The libretto was based on E.T.A. Hoffmann's DER SANDMANN. 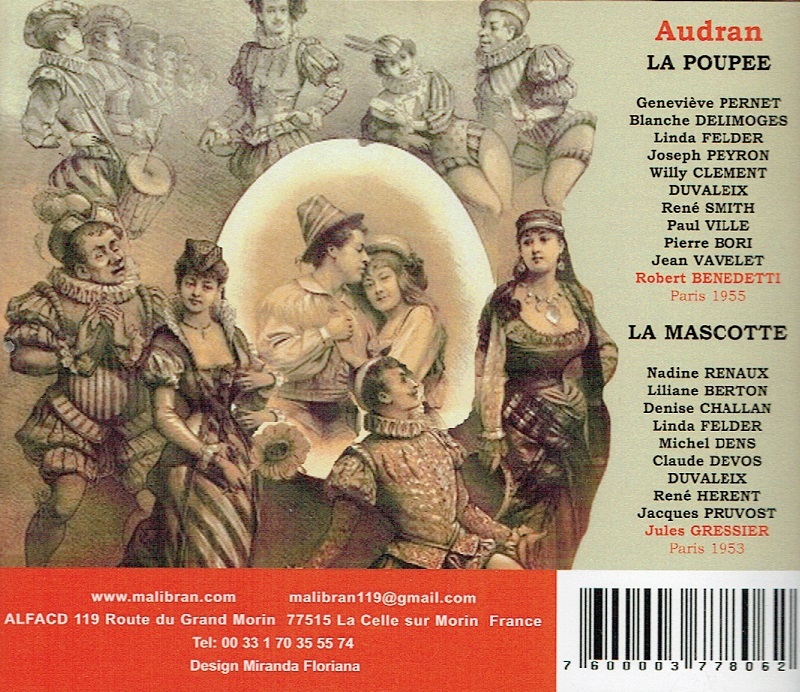 LA MASCOTTE (The Mascot) is an opï¿½ra comique by Edmond Audran. The French libretto was by Alfred Duru and Henri Charles Chivot. The story concerns a farm girl who is believed to bring good luck to whoever possesses her, so long as she remains a virgin. The title as translated into English initiated the use of the word 'mascotte' in the English language to mean an animal, human, or thing which brings luck. It was first performed at the Theatre des Bouffes Parisiens in Paris on 29 December 1880. It was very popular and 1,000 performances were given in just five years. It was revived at the Bouffes Parisiens in 1883 and 1889 and produced at other Paris theatres up until the 1930s and again in 1944; a film was made in 1935 with Germaine Roger, Lucien Baroux, Lestelly and Dranem. It was translated into English and staged."